In this volume Donald Munro, author of important studies on early and contemporary China, provides a critical analysis of the doctrines of the Sung Neo-Confucian philosopher Chu Hsi (1130-1200). For nearly six centuries Confucian orthodoxy was based on Chu Hsi's commentaries on Confucian classics. These commentaries were the core of the curriculum studied by candidates for the civil service in China until 1905 and provided guidelines both for personal behavior and for official policy. 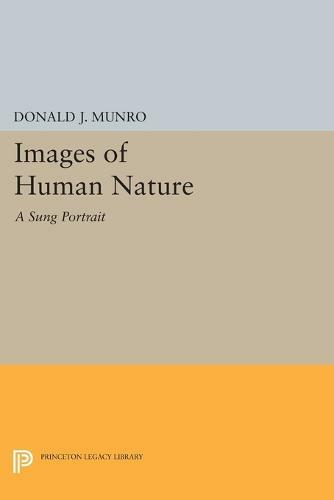 Munro finds the key to the complexities of Chu Hsi's thought in his mode of discourse: the structural images of family, stream of water, mirror, body, plant, and ruler. Furthermore, he discloses the basic framework of Chu Hsi's ethics and the theory of human nature that is provided by these illustrative images. As revealed by Munro, Chu Hsi's thought is polarized between family duty and a broader altruism and between obedience to external authority and self-discovery of moral truth. To understand these tensions moves us toward clarifying the meaning of each idea in the sets. The interplay of these ideas, selectively emphasized over time by later Confucians, is a background for explaining modern Chinese thought. In it, among other things, Confucianism and Marxism-Leninism co-exist. Originally published in 1988. The Princeton Legacy Library uses the latest print-on-demand technology to again make available previously out-of-print books from the distinguished backlist of Princeton University Press. These editions preserve the original texts of these important books while presenting them in durable paperback and hardcover editions. The goal of the Princeton Legacy Library is to vastly increase access to the rich scholarly heritage found in the thousands of books published by Princeton University Press since its founding in 1905.